Is it Too Late for New Year’s Resolutions? January 1st has come and gone. Does that mean it’s too late to make New Year’s resolutions? Many people wait until January 1st to make commitments, promises, and pledges on what they will do better or on how they will achieve greater success in the upcoming year. However, there is absolutely no rule that says that January 1st is the only, or even the optimal, day of the year to make declarations meant to better personal or professional lives. If you intended to make New Year’s resolutions on January 1st, but you neglected to put the resolutions in writing, don’t let yourself off the hook. Just because it’s no longer January 1st does not mean it’s too late. If you are a solo attorney, or if you are thinking about opening a solo law practice sometime soon, creating resolutions can be an excellent motivational tactic. Many small business owners find resolutions useful and helpful – even if they are not made the moment the clock strikes midnight on the first day of a new year. Are Resolutions Beneficial for a Solo Attorney? The benefits of creating positive resolutions are numerous for just about anyone. The overall purpose of making resolutions is to encourage people to make constructive changes or improvements, or to reach specific goals. There’s absolutely nothing wrong with making resolutions on any day of the year. Therefore, if you neglected to make resolutions on January 1st, don’t wait a full year to start thinking about how you can better yourself and your law practice. One of the most common reasons that people do not succeed with keeping their New Year’s resolutions is that they make commitments that are practically impossible to fulfill. For example, you might have made a New Year’s resolution to gain 100 new clients this year. But is that realistic? Make sure your resolutions are reasonable. It’s practically impossible to succeed when you make unreasonable promises to yourself. If your resolutions are related to your career as a solo attorney, make sure to commit to promises that can be kept. A commitment to attending networking sessions once a month or to keeping your desk more organized are two examples of reasonable resolutions. 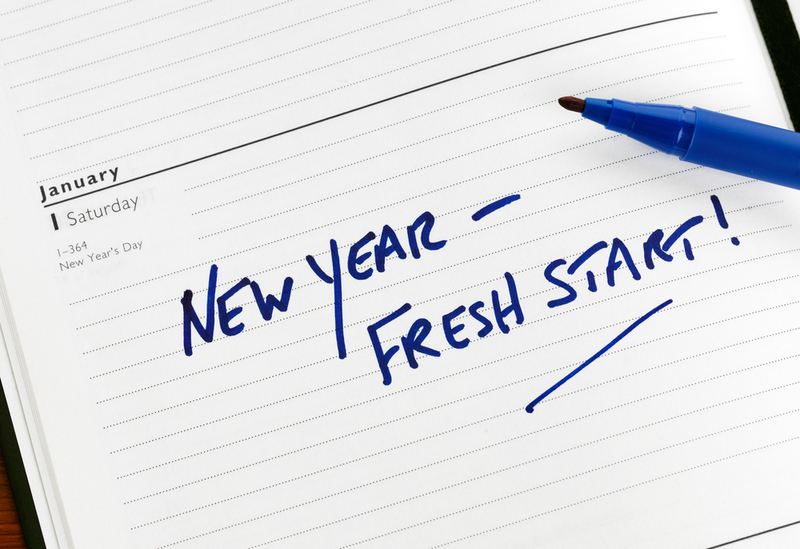 Create resolutions that involve professional advancement. Is there anything negative that can come from learning more about your profession or about a specific area of law? Of course not! One way to keep a resolution that involves professional advancement is to promise yourself that you will enroll in more CLEs that focus on a specific area of law that interests you. This resolution can also be easily accomplished by reading more books or by signing up for and reading professional e-newsletters. Volunteer your time to support a good cause. Many solo attorneys wish to donate their time to support a non-profit organization or to someone who would benefit from free or reduced-cost legal help. While you might not have dozens of hours per week to donate, it is possible you would have one or two hours each week to spare. Remember, just because January 1st is merely a distant memory at this point does not mean that you should neglect making resolutions this year. Resolutions can be a great motivator that help yield positive results.